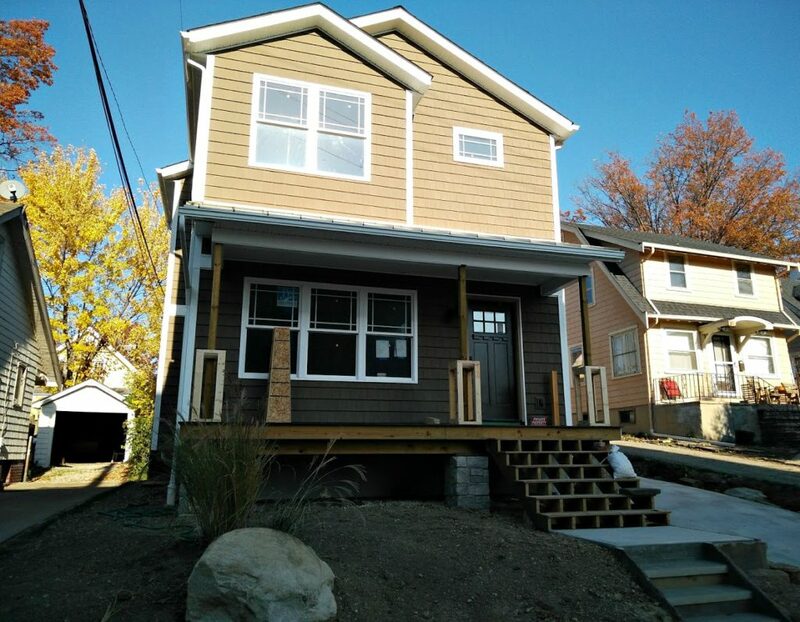 The fall colors have started to fade within the Rocky River Valley, yet up the hill splashes of vibrancy continue to enhance the house under construction at 1427 Scenic Street. Builder Dana Paul – owner of Prairie Stone Group, the company spearheading the project – remains focused and meticulous in his efforts to incorporate a beautiful single-family home into Lakewood’s historic Scenic Park Neighborhood. The results so far, it seems, speak for themselves. 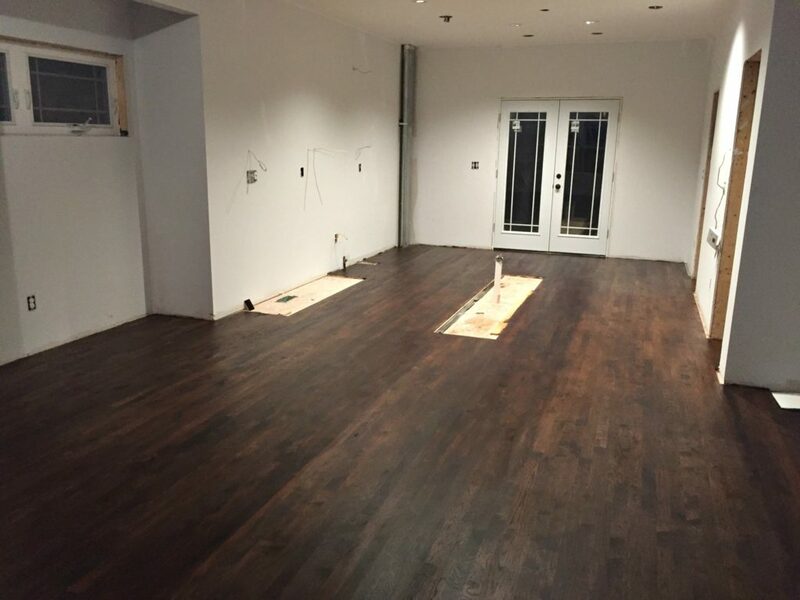 Paul and his team recently completed installing and staining hardwood flooring on the first and second levels of the 1,425 square foot home. This time-consuming, detail-oriented process took the better part of a week, but the final product was worth the wait. 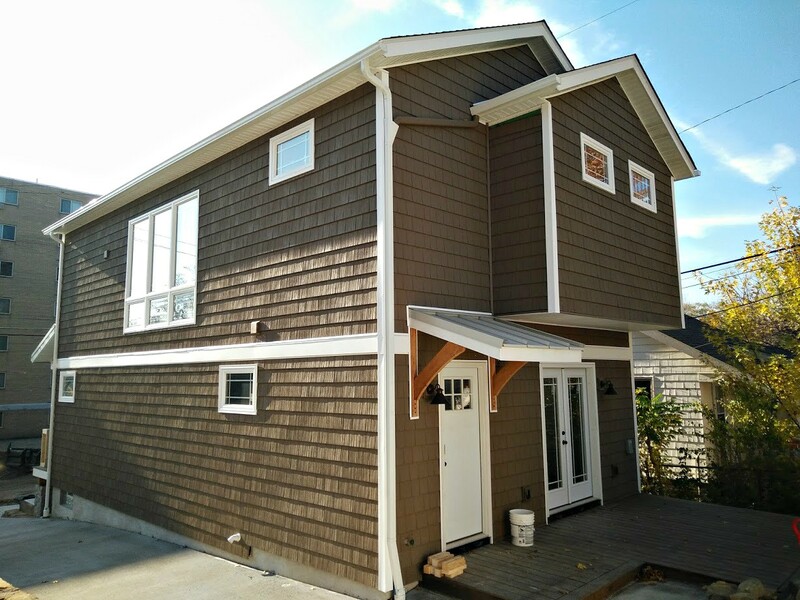 When Paul was relegated to the outside as staining was taking place, he turned his attention to bolstering the house’s curb appeal. He cut a slight swale through the center of the front yard to add character, then landscaped with tall grasses near a large decorative rock. Paul also acquired a piece of old sidewalk from a project on Granger Avenue and subsequently installed slabs of this sidewalk atop the steps leading up to the front porch steps. Builder Dana Paul has taken advantage of the mild fall by enhancing the curb appeal. “It’s reclaimed sidewalk on top of the steps, a piece of old Lakewood sandstone sidewalk,” Paul said. Today sod will be planted in the backyard. Paul will then shift gears to completing the columns on the front porch before wintry weather forces him to again focus on the house’s interior.